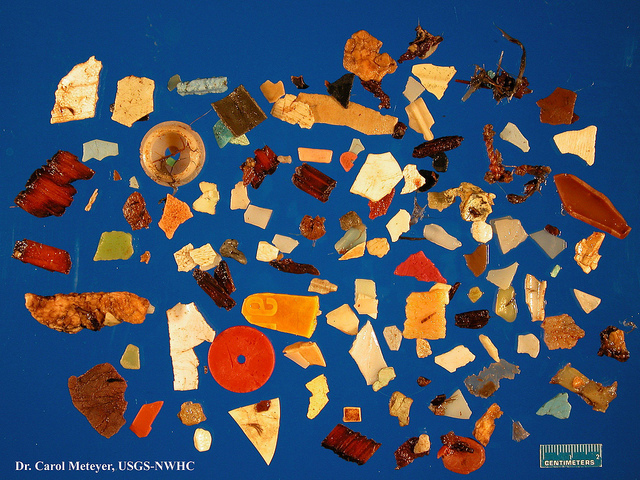 There’s plastic in seabirds, in the middle of the remote Pacific Ocean, even in people. It’s a challenge to turn to the news these days without reading or hearing the latest horror story about plastic pollution. These updates seem new and striking and scary, but in reality much of the fundamental information contained in these stories is actually far from fresh. The Revelator took a deep dive into reams of historic plastic pollution research and uncovered that much of what’s considered “new” today has actually been known by scientists for decades but was not well publicized in the popular media until recently. One paper, published in the International Journal of Environmental Studies in 1972, identified the phenomenon of plastic consumer packaging washing up on isolated shorelines as an ecological concern. 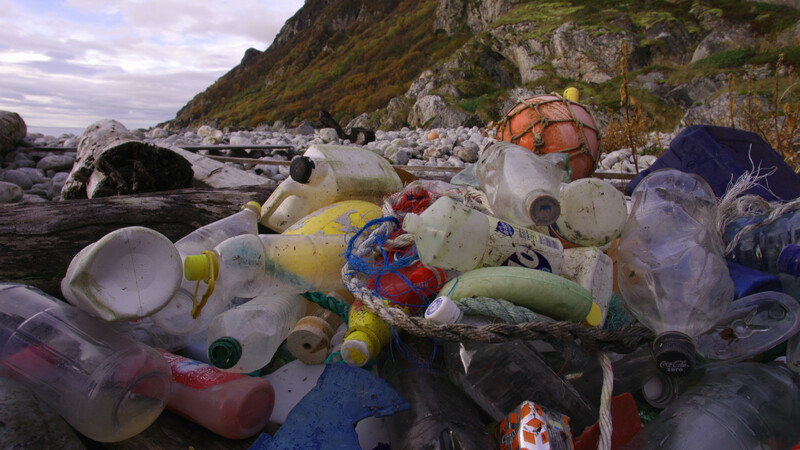 Written by University of Aston chemist Gerald Scott, the paper discussed the problematically slow biodegradation speed of plastic in the marine environment and outlined a “need for the acceleration of this process” to prevent further ecological harm. That same year a scientist named Edward J. Carpenter, who now works as a professor at San Francisco State University, became the first to publish warnings about what would eventually be known as “microplastics.” While posted as a researcher at Woods Hole Oceanographic Institution, Carpenter published two landmark 1972 papers describing “plastic particles” in the Sargasso Sea and plastic spheres used for plastic production (called nurdles) that had absorbed PCBs in waters off Southern New England and were found inside several fish caught there. The decades following Carpenter’s initial work saw the publication of just a few dozen papers on marine plastic pollution. In fact, from the time Carpenter announced finding small plastic particles in the oceans, it took more than three decades for the scientific term “microplastic” to be published in major international publications. Today publication of these papers is much more frequent. A search of Google Scholar found 771 papers containing the words “microplastic” or “microplastics” published in 2018 alone. Although plastic pollution wasn’t making news headlines decades ago, the research did continue, with several important early findings made. This includes the 1973 discovery of small plastic particles accumulating in the bodies of seabirds (today we know more than 90 percent of all seabirds have eaten plastic at some point in their lives) and the identification of large quantities of plastic floating on the Pacific Ocean between California and Japan (where we now know the Great Pacific Garbage Patch lies). One major concern is toxins, which plastic can both absorb and leach out. While this issue has gotten significant amounts of media coverage in the past few years, some of the earliest plastic pollution researchers supposed that if ingested in small amounts, “consumed particles of plastic could release sufficient amounts of PCB’s to affect seabirds,” as Stephen I. Rothstein wrote in a 1973 paper on marine plastic pollution. They quickly agreed that it was. Scientists at the conference concluded that plastic was accumulating in the natural environment and called for more research to better understand what seemed to be a growing problem. They also made the earliest call for legal action to prevent pollution from ships, which prompted Congress to fund an early version of NOAA’s Marine Debris Program called the Marine Entanglement and Research Program — which had a responsibility of facilitating research, publicizing data and minimizing the problem. During the early 1980s, plastic manufacturers continued to sell consumers on the utility of their products, specifically plastic bags, without publicly acknowledging that the materials were harming the environment. In fact, they tried to show the opposite by pushing ideas about plastic’s abilities to be reused and recycled. “Plastic bags can be reused in more than 17 different ways, including as a wrap for frozen foods, a jogger’s wind breaker or a beach bag,” the industry-backed Plastic Grocery Sack Council told the Los Angeles Times in 1986. 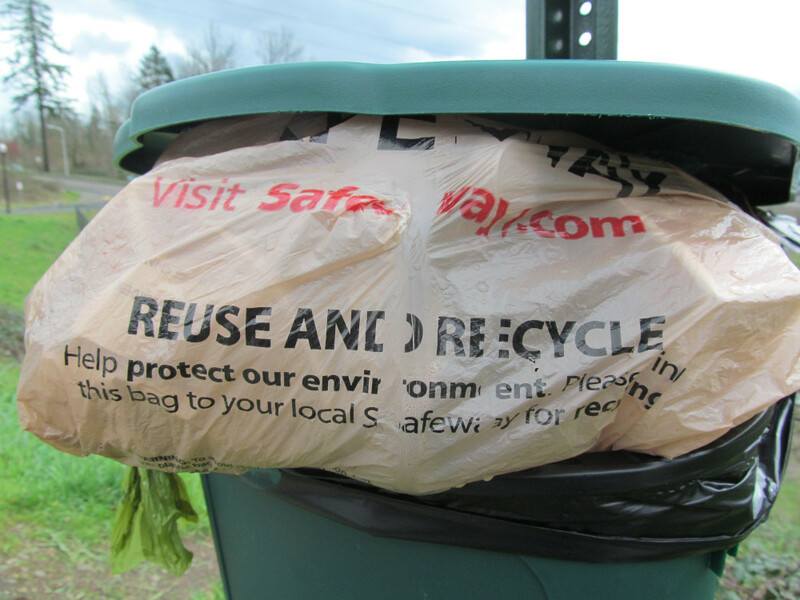 A New York Times story published a few years prior lightly debates whether or not consumers would prefer using plastic bags to paper, given the industry’s push to get them into grocery stores around the world — without mentioning any of the environmental consequences. But the real push for plastic started even earlier. Plastics-history expert Rebecca Altman recalls how a 1950s packaging magazine editor told industry insiders that “The future of plastics is in the trash can.” Altman, who has deeply explored the human connection to plastic, says that the world had to be conditioned to carelessly consume. Prior to that time, “it was not in the culture to use something once and throw it away.” Today the items most commonly found in nature are so-called “single-use” plastics. Promoting public narratives about litter to focus on recycling as a solution has, for a long time, “been a way to deflect attention and responsibility for product design away from industry, and has been very effective,” says Eriksen. “Industry has aggressively defended themselves, manipulating public perception, and attacking scientists perceived as a threat,” Eriksen says. That trade group is now known as the Plastics Industry Association. When reached for comment, it refused to confirm or deny Carpenter’s claims. But it’s well known that certain industries have covered up the link between tobacco use and cancer, and fossil fuel use and climate change. According to the Union of Concerned Scientists’ “Disinformation Playbook,” corporations have followed a specific pattern when attempting to block legislation and minimize their liability for problems created by their products. The plastics industry appears to have followed the same predictable plays as other deceptive businesses: blitzing scientists who speak out with “inconvenient” results or views, diverting attention from scientific recommendations (to cut plastic use), and making strong attempts to block unfavorable policies (banning or restricting plastic use), among other strategies. Besides industry silencing of research and shaping consumers’ mindsets around waste, Altman suggests the media also played a part in the issue of global plastic pollution first being overlooked and then finally coming to the fore of global consciousness. It’s a combination of plastic pollution worsening and the nature of media changing over time, Altman says. Today social platforms have the ability for anyone, anywhere, to share what has been ignored long enough to become an enormous and visually compelling story. Just think of the Great Pacific Garbage Patch and all the media attention that’s gotten in the past decade, she says. Carpenter agrees, emphasizing the gap between the scientific discovery of plastic pollution in the oceans and publicity about the problem. “I believe that the Captain Moore TED Talk on the Great Pacific Garbage Patch, plus Marcus Eriksen of 5 Gyres, plus a video on dying albatrosses at Midway Island, plus the graphic video of the sea turtle with the plastic straw up its nose began to finally wake up the public,” he says. 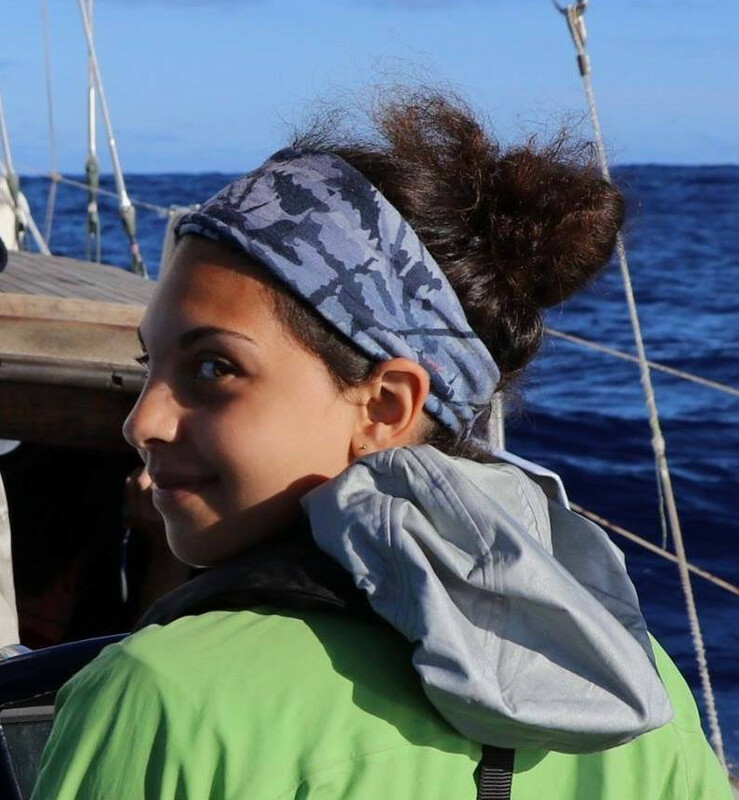 Nonprofits like 5 Gyres are now pushing an agenda toward public awareness, corporate responsibility and the idea of a circular economy — an economy that focuses on keeping waste to a minimum while maximizing materials’ use. NGOs’ activism has also kick-started a spurt of municipal and national policies aimed at reducing use of plastic items worldwide in a bid to cut pollution. If people won’t stop using plastic items on their own accord, recent research suggests rules limiting their use of plastic items by charging a fee for its use or banning it outright is the best way to get them to stop. The plastics industry has actively fought such legislation, and despite the publication of research calling for a reduction in plastic use it continues to sell its products while pushing recycling as the best method to reduce waste and litter. In one recent example, major beverage corporations led by the Coca-Cola Company sent a letter of opposition last year to the European Commission following the EU’s proposal to require that plastic bottles have tethered caps. Traditional bottle caps are commonly lost in the marine environment because they so easily separate from bottles. In the letter the corporations cite the efficacy of deposit return schemes and recycling in reducing plastic litter. They proposed increased efforts to “reinforce and incentivize [the] right consumer behaviors” in lieu of changing their product designs. Coca-Cola recently revealed that it produces 3 million metric tons of plastic packaging every year. That’s a message we should have listened to decades ago, which still needs to be heard today. “The public did not get adequate information, or the right information, early enough to act,” says Eriksen. “Industry has been very effective at controlling the public narrative, but today they cannot control things the way they did in the past. Social media and mass communications have allowed people to organize.” And that’s starting to make a difference.